This is rated in the Penguin guide. Had it and let it go, it didn't do much for me. 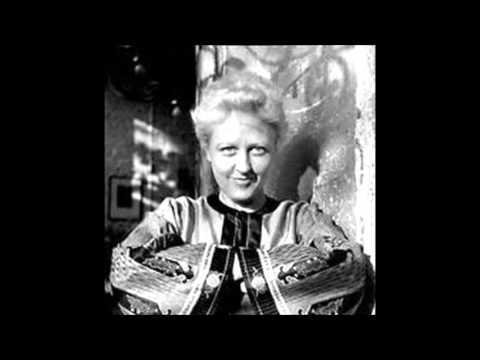 Lyrita are generally pretty good at the Brit composers, but the majority of the material isn't post war. However, type NMC sampler into Amazon - These are a great intro to the stuff you seek. Lyrita veers a little too far to the tonal/pastoral side of things for me - I do like Frank Bridge and I would probably pick up Humphrey Searle, but not sure what else. Yes, NMC is on the right wavelength, I do have a couple of discs from them, including a Gerald Barry one which I picked up the other day for 25p. On the whole I do prefer getting as much as possible on vinyl if it was ever released that way! Currently tracking down as much Roberto Gerhard as possible. You're being kind. There's a lot of dull British stuff Lyrita reflects that. They are good when they're good though. There's great Holst, Arnold and I really like the Grace Williams - though she's more in the light category. Hoddinott is a bag of tricks, you might like some of his gear. Yes, a while ago I had an LP with Roman Dream on but moved it on - regret that now. Just back from trawling the 'dollar' bins at my occasional weekend spot. Starting to eye some classical pieces in the light of this thread. Thinking back, there were a few that I should have picked up. Sheer tight-fistedness on my part! Nielsen - Symphony No 1 in G minor Danish Composer from more recent times. I picked this up for the cover more than anything as am a big op-art lover so its going into a frame. The music itself is rather staid and uptight in a 'Jerusalem' kind of way, not my thing at all. I notice online there is a sister album to this with an equally good if not better cover. Piatigorsky - Walton Cello Concerto/Bloch Schelemo This is more like it a cello concerto written specifically for Gregor Piatigorsky by William Walton in the 50's on side a which is the highlight. Dark, brooding almost gypsy sounding and then becomes all Avant Garde in the final quarter. Oistrakh is a wonderful player. If the Russian violin repertoire floats your boats? Also look out for Leonid Kogan, who is marvelous at Tchaikovsky and Shostakovich. Wow - and all because of the 'pancake' label - it's the classical equivalent of the 'Darrell Banks' incident! Thought I'd buy a decent interpretation of Chopin's preludes so this seemed a no-brainer for a quid. The record looked fine but perhaps I should have taken more notice of the very small sticker on the label which closer inspection now reveals to say 'public library' - the album sounds tired and has clearly been round the clock a few times...no good as a serious listener...luckily there's just a bit of minor tarnish on the 'Vivace' in E Minor so I can still use it as an 'in-key' prelude to Jane Birkin's 'Jane B' when DJing! - will have to track down another...doh!!! My Beethoven odyssey continues; this seemed a good compromise between my playing it safe with piano music and my apprehension about the symphonies. I still haven't really got a handle on timeline where classical is concerned, so I was a bit shocked when I got it home to discover these three quartets were largely the work of the teenage Ludwig. You can't fail to be impressed by that fact (although apparently some doubt his authorship), but I try to never let worthiness or a good back story cloud my judgement of music. In truth these didn't do a lot for me - pretty and clever for sure, but nothing particularly remarkable about them - scholarly outings, perhaps unsurprisingly. Bought for the flipside, if you will...haven't even dropped the needle on the Tchaikovsky yet. If Beethoven's 5th is the 'Smoke On The Water' of classical, then presumably the 'Devil's Trill' Sonata is it's 'Paranoid'. First became aware of this by dint of a BBC radio piece by RNCM alumnus Richard Witts, formerly of the excellent 80's Manchester post-punk electronicists The Passage and contributor of 'hey kids, classical is cool' bits to 'The Oxford Road Show'. Isn't music just great sometimes? A couple of years ago in the midst of a sleepless night, I slipped on the bedside cans and surfed the airwaves, happening on one of the classical stations and hearing some just gorgeous harpsichord music - now even a dilettante like me recognised the styling as 'baroque' but the chord progressions and basslines sounded so modern (in the wider sense) that this could have been Michel Legrand composing out of his skin - I was blown away to discover that this was the work of Jean Philippe Rameau from the 1720s. Within a couple of weeks I'd acquired Alan Cuckston's 'Pieces de clavecin' CD (from those nice people at Naxos) and have been enjoying it ever since. So when the above record (a minter incidentally) popped up in a charity shop, I jumped at the chance and I'm very glad I did so. I wasn't familiar with Turnabout, but clearly it was Vox's budget wing (the original '99p' sticker was a clue) and it seemed a safe bet. 'At last', I thought, 'a chance to own some Rameau on vinyl...I might even play some out...' The six Rameau pieces here include two from 'Pieces de clavecin' and I prefer these versions; Madame Kind's playing seems a bit less frenetic than Mr Cuckston's and I now have some pointers for further Rameau works to investigate. The notion of the 'warmth' of vinyl over CD definitely has some currency here as well. All this would be cause for celebration in itself, but my introduction to the works of Francois Couperin (Le Grand) included herein doubles my pleasure. 'Les Fastes de la grande et anciennes Menestrandise' ('The Splendid Procession of the Great and Venerable Minstrelsy') and 'Les Folies francaises' ('French Carnival') are indeed 'tone paintings', replete with humour and as important as any oil on canvas as historical documents. I never realised mincing around the lawns at Versailles in a wig and too much slap could be so much fun. Throw in a couple more pieces from Jean D'Anglebert and Louis Claude Daquin, factor in the added charm of Madame Kind introducing and translating each piece in her lovely French accent and this album is a totally recommended winner. Well chuffed. Any further recommendations for music in this genre would be much appreciated. Last edited by giantchicken; 15-03-2015, 05:26 AM. Found an argenta last year 😀. Found this in a chazza last year as well. Any further recommendations for music in this genre would be much appreciated. Found an argenta last year ��. Found this in a chazza last year as well. 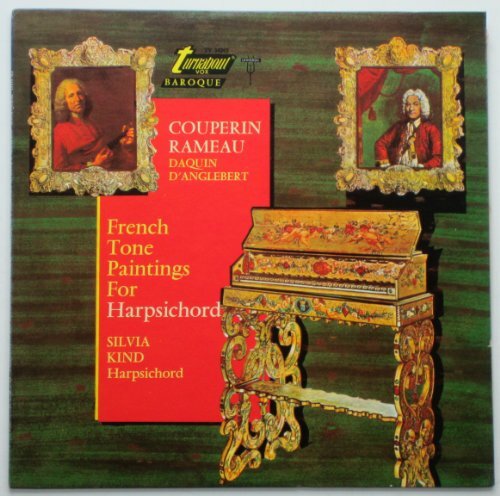 Couperin and Rameau are both lovely. Reinhard Goebel's Musica Antiqua Koln ensemble made some really nice records on Archiv around French music from this period also covering composers like Marais and Leclair. For beautiful baroque harpsichord check recordings by Kenneth Gilbert or Gustav Leonhardt.